Patients who are suggested gum grafts by their dentists tend to worry about the process but there is no cause for alarm. It is merely a simple process that helps safeguard your teeth from the hazardous effects of gum recession. The quality of your smile also gets comparatively enhanced after the procedure. During gum recession, the tissue enclosing the teeth starts to pull away, revealing the root of the tooth. The supporting bone gets damaged as a consequence. This is a common dental issue that often goes unnoticed till it takes a turn for the worse. As it is a gradual method, several people do not notice that their gums have receded. But, in the course of time, the root of an exposed tooth not only affects the overall appearance but leads to tooth sensitivity, especially during the consumption of hot or cold foods. If left untreated, gum recession may eventually result in tooth loss. In order to repair the damage and avoid further dental issues, gum grafts are necessary. 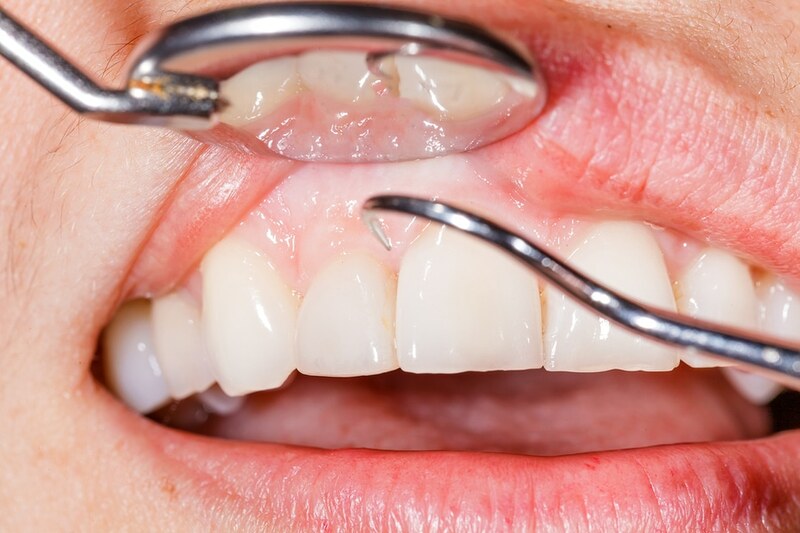 There are three individual types of gum grafts that are performed by dentists on the basis of the requirements of the patient – free gingival grafts, connective tissue grafts, pedicle grafts. A few patients and dentists prefer to source graft material from a tissue bank instead of the palate roof. In some cases, tissue-stimulating proteins may be used to encourage the natural ability of the human body to grow tissue and bone. Most patients are free to go home after the procedure but if they are given a sedative by the dentist for relaxation, they need to make arrangements so that a family member can drive them home. The dentist will normally provide specific instructions pertaining to post-operative care like physical activity, diet and medications. Until the operated area is completely healed, it is wise not to brush the gum line or floss. Plaque can be controlled by using a special mouth rinse and antibiotics may also be prescribed in order to decrease the chances of infection. Following the gum graft surgery, it is ideal if the patient’s diet consists only of soft, cool products like pasta, eggs, yogurt, ice cream, well-cooked vegetables and cottage cheese for a while. The intensity of pain that will be experienced by the patient depends on the sort of gum graft performed. But in most cases, healing occurs extremely quickly. If the problem persists, prescription pain medication or anti-inflammatory medication bought over the counter can bring some comfort. Healing generally takes a week or two, after which the patient can resume normal activities. There is usually no need to get in touch with your dentist after the operation. But it would be a good idea to contact him/ her if some unusual symptoms are experienced such as uncontrollable bleeding that does not cease even after applying pressure for over 20 minutes. Moreover, if there is bruising of the area along with swelling and pain, it is never a good indication. Further gum problems may arise in the future but they can be checked through careful dental care at home and regular dental check-ups. Previous articleCan Smoothies Damage Your Health? Next articleWhat type of Exercises help you to keep your mind fit?